This entry was posted in Agadir, Attitude, Silent Sunday, sunday photo and tagged agadir, attitude, lifestyle, silent sunday, simplicity, Sunshine, travel on Sep 23, 2018 by ChristinaMaroc. Well, to be accurate its from the rooftop two doors down. I had the idea, took the steps upstairs to my terrace, put them on the ledge, climbed to the top step……and bottled climbing over the parapet onto the roof! Then I remembered my neighbours roof terrace. The Mosque (pronounced mos-key) you see in the foreground was being built when I first arrived here to live. 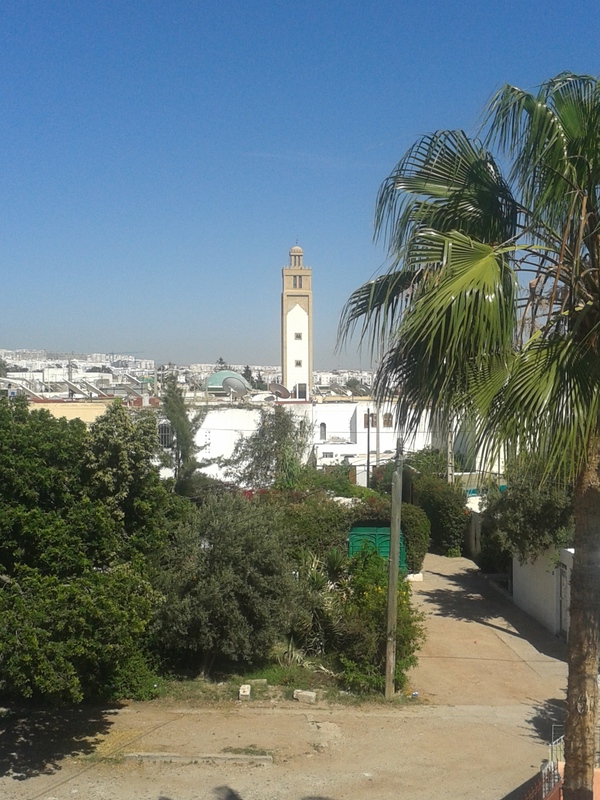 One day walking to the shops I was horrified to see them painting the Minaret with one painter dangling down out of the top window, while another man inside held onto his ankles. I have a useless sense of direction, but I think thats looking south, the sea is across town to the right-hand side of the picture. A friend found an old map of Agadir from 1978. I think its fair to say that the whole picture would have been empty. My, Agadir, how you’ve grown. This entry was posted in Uncategorized and tagged agadir, lifestyle, travel on Apr 25, 2014 by ChristinaMaroc. 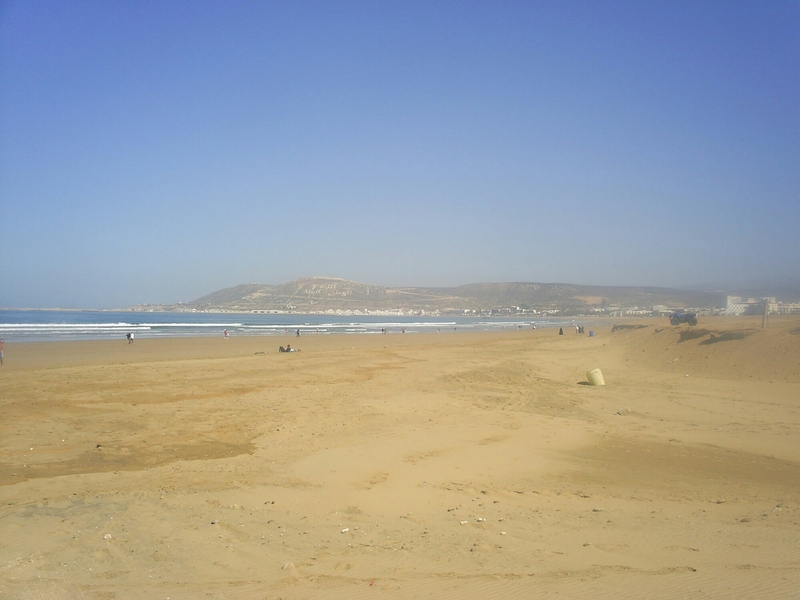 Agadir Beach has changed enormously in the years I’ve been visiting, it used to be all sand dunes and camels. Its still beautiful, particularly at the southern end which is where this photo is, but its different. Lots of cafes, restaurants, sunbeds and a beautiful long corniche (promenade to us Brits). This entry was posted in the gallery and tagged agadir, travel on Apr 16, 2014 by ChristinaMaroc.